After five years of functioning of the United Nations Human Rights Council (UNHRC), the Non-Governmental Organization Human Rights Watch performed a thorough examination of its activities by monitoring the Council’s work from July 2010 through June 2011. The UNHRC, established by the UN General Assembly in 2006 as a successor of the highly criticized and inefficient United Nations Commission on Human Rights, went through some substantial changes from July 2010 until June 2011. According to the findings to this report, although there is a significant progress in the implementation of its initiatives compared to its predecessor, inconsistency in actions by states – usually for political reasons – remains present. The UNHRC is composed of 47 members, elected by the UN General assembly for a three-year term, limited to a maximum of two consecutive terms. The seats are distributed among the UN’s regional groups in the following manner: 13 for Africa, 13 for Asia, 6 for Eastern Europe, 8 for Latin America and the Caribbean, and 7 for the Western Europe and Others Group. The list of current member states is available here. The main improvement compared to its predecessor is that states are subject to periodic review mechanism during their term of membership and can also be suspended by the UN General Assembly (two-third majority vote) if committing gross and systematic violations of human rights, as was done in the case of Lybia earlier this year. The report is very clear on describing which countries did most for an effective action of the Council and which, on the other hand, were “less eager to contribute positively to these efforts”. The first group of states is composed by Argentina, Brazil, Chile, Maldives, Mexico, the United States, and Zambia, as well as other states who “joined” them, such as France, Japan, Jordan Mauritius, Senegal, the United Kingdom and Uruguay. China, Cuba, and Russiaform the small group of states that opposed regularly to any action of the Council that was too critical of a certain state, or that was not supported by the state in question. Eager not to set precedents which could end up jeopardizing themselves one day, they argued that the Council should be only a “forum of discussion” whose decisions would not interfere in what they consider “interfering in the domestic affairs of others”. Sovereignty, by the way, is the basic pillar of the international system. But while quite a large number of states was willing to engage positively at the Council’s decision-making, too few of them were actually willing to translate their support into taking on and leading needed initiatives. This led to a double negative effect: it restricted the numbers of situation to which the Council could effectively respond, and it opened up the Council to criticism for its selective action when a small group of states that did show initiatives chose to act only on the situations they preferred. The examination of the UNHRC detected that the Council’s more assertive and effective approach took place almost in parallel to the Arab Spring. 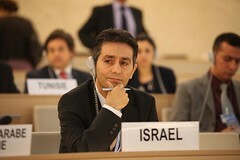 For example, it suspended Lybia’s membership in the Council, contributed to setting up of the country office of the OHCHR (Office of the High Commissioner for Human Rights) in Tunisia, and strongly condemned the human rights situation in Syria which led to Syria ending its bid for a seat on the Council. The report however concludes that it is still too early to consider these improvements as as durable. Particularly taking into account that the Council suffers endemic problem of selectivity – inconsistency in actions by states usually for political reasons. This presents a major obstacle to the legitimacy of the Council, since the application of double standards by any state undermines the effectiveness of UNHRC. One of the basic criticisms of the Council’s predecessor, The Human Rights Commission, was that it routinely adopted a high proportion of its resolution concerning Israel while disregarding many of other flagrant violators of Human Rights. The situation seems to have improved in the new Council, but nevertheless it continues to focus disproportionately on the situation in the Occupied Palestinian Territories (OPT) and Israel, and the Israel is the only country listed on the Council’s permanent agenda (Item 7). The report makes sure to emphasize that the problem lies in the disproportion and not in the fact that the situation is addressed. States that oppose Council action based on opposition by the state concerned should revise their approach, as the Council action is not conditional on the approval of the concerned state. State’s actions in the Council should be based on and objective assessment of the Human Rights situation at hand an on the merits of the case, rather than on political or other considerations. States should ensure that their positions are consistent with international human rights law. The Council should streamline the number of resolutions it considers each year on the situation in Israel and the OPT. Efforts shoul also be made to ensure that resolutions put forward on the situation fully reflect the responsability of all parties to the conflict, not Israel alone. 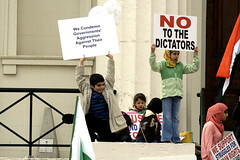 State should stop giving the situation in Israel and the OPT exceptional treatment.